Regarding the human egg: How old is too old? Perhaps we are asking the wrong question. Remember the psychological argument about nature vs. nurture? Let’s rephrase the topic altogether. How can we help women in their mature reproductive years produce healthy children? I propose that the answer is found in the nature vs. nurture discussion. Nurturing the follicle in the 120 days before ovulation will produce a healthy egg, free of transmutation, free of the need for medical intervention. Scientists have told us that in about 45 years all the eggs that we’re born with will have deteriorated. Yet, the latest evidence is challenging our previous doctrine. Now, they pronounce, mammalian ovaries may have specialized stem cells that make new eggs throughout the female’s life. And this could, they say, lead to powerful new treatments for infertility. Women who heretofore have been told that their eggs are “too old” to become babies, are renewed with hope, just as they were when cytoplasmic transfer was a promising solution a few years ago. Yet, as scientists and politicians snatched that possibility away from us, we were left once again with the hopeless pronouncement that old eggs have a dismal possibility of propagating. Letting a youthful woman donate her fresh, perfect eggs to replace our shriveled, dieing ones has been the only answer for women with “poor quality” eggs. 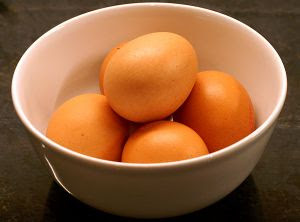 Poor quality eggs mean the ones that won’t act in response to Western medicine’s attempt to force a pregnancy in a reproductive system that seems resistance to artificial hormonal stimulation. They call us “poor responders”, “clomid failures”, or “IVF failures”. I have been treating poor responders, older women with high FSH, those with premature ovarian failure, poor quality eggs, and yes, even those dismal “IVF failures” for years. Yet because of their successful response, I no longer believe the dogma that our eggs deteriorate, that they go bad, or that we are failures. I believe Western reproductive medicine sometimes fails us. Why? Because when I have been able to embrace a woman whose only desire in life is to become a mother, using the ancient wisdom of Chinese medicine, within a few months of gentle ovarian balancing therapy, her body responds. Her ovaries seem to wake up in reply, somehow liberating “healthy” eggs. In an effort to understand what this process really was, I had to shift my own paradigm. After completing my medical school academics, I too was told I was infertile. Barren was the word that came to mind, and panic set in. I could tell that this terror was worsening my already bleak diagnosis. But, fortunately, I held a kernel of disbelief within that wouldn’t accept my doctor’s pronouncement. By this time I had enough medical knowledge to realize that since the endocrine system worked via feedback, that taking external hormones may force ovulation, but wouldn’t resolve the underlying disorder. After all, if my ovaries weren’t producing the right hormones, how could they be producing healthy eggs?! That’s what I had to find out on my own. And somehow I knew deep inside that the answer was natural and healthy, if I could just find it. Let me explain what I have come to know about the amazing female reproductive system. First of all, it is perfectly created. The biology of the ovary itself is remarkably intelligent and interactive with the rest of the body. It is, after all, the source of all human life on this planet. Our body knows how to protect it, too. If a little boy gets mumps or a high fever, he may become permanently sterile. Not so a little girl. Her ovaries, although deep within her body, are protected from their surroundings before the process of meiosis is initiated. This may make her ovaries temporarily unresponsive, but as her eggs are protected, so are they innately fruitful and responsive when the conditions are right. We have just been viewing them through scientific lenses which have no vision for what our role can be, not through the lenses of our deep, internal sense of knowing we have more potential than we are ever given credit. By Randine Lewis MSOM, L.Ac., Ph.D.